Giving back – Heritage Day sea safari and the seal whisperer! 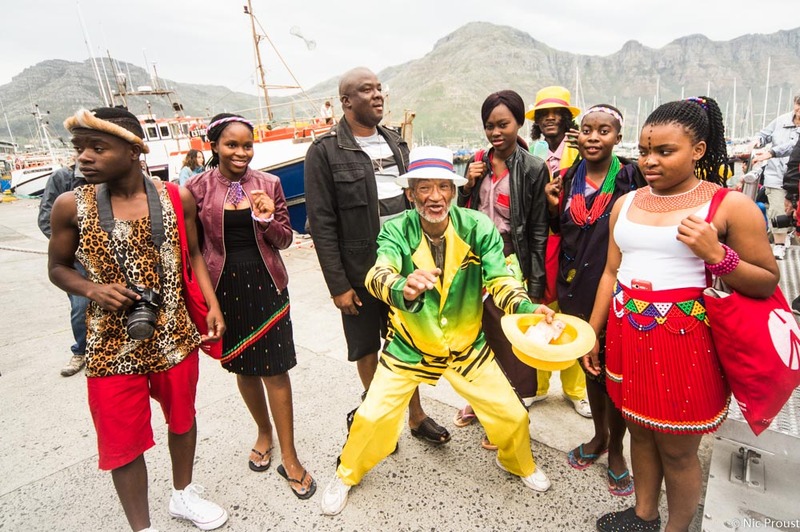 You are here: Homepage > Latest news: > Giving back – Heritage Day sea safari and the seal whisperer! On the 24th of September many South African’s would have made a braai. 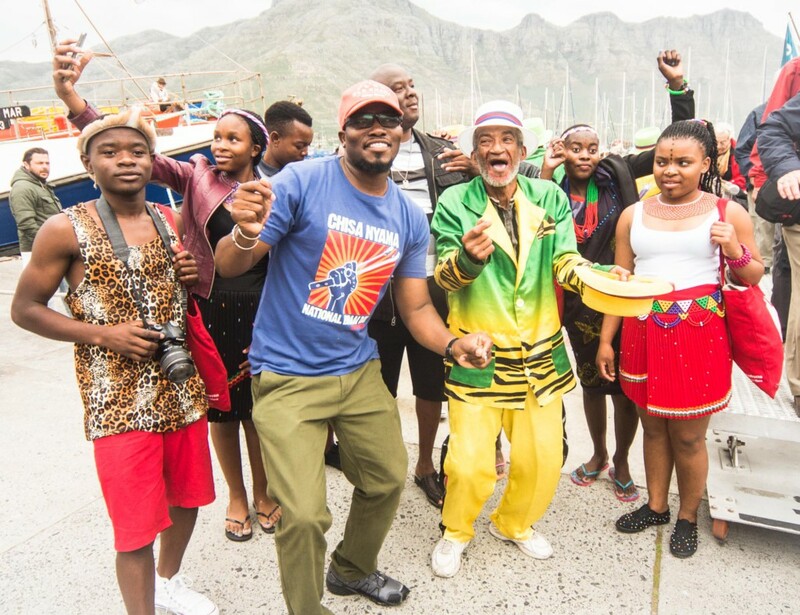 While we had to skip this fine dining opportunity, we took the social side of things this day provides, to another level and ended up celebrating Heritage Day (a public holiday in South Africa) in quite a special way. We had a sea safari. 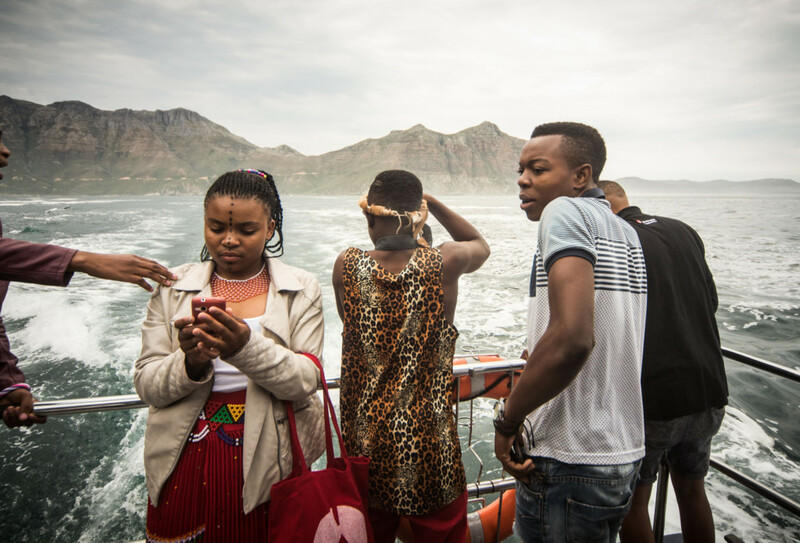 In fact it was more of a tour around the Cape Peninsula and while we even got onto a boat, the best thing was that for 10 of us, we got to experience the sea for the first time ever. And not only the sea, but the vast Atlantic ocean and the beauty of the Cape. The day before was the Wild Shots Symposium, which was held in the Waterfront in Cape Town. 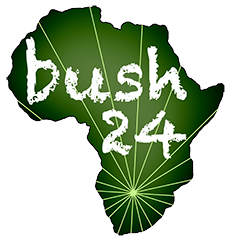 This event showcases the best of African wildlife photography and some of the who is who of the industry in Africa and beyond, come together sharing their work, tips and advice while taking the opportunity to network with one another. The presentations were fantastic and the event was so well put together, ending with a talk by National Geographic’s Brian Skerry, who wowed us with one of the best presentations many of us had ever seen – Ocean Soul, a story of love, discovery and hope. It was a gripping session, making us aware of the plight of our oceans. Brian had captured this all with his camera, reminding us of the important work photographers do for conservation and how the camera is one of the best tools of the trade and for expression and how it can be used to highlight the seriousness of many environmental threats out there. There was also another great thing going on: a group of teenagers had been sponsored to come down and be part of the whole event. They were from up-country, from the province of Mpumalanga. Eight students, their teacher and a local journalist made the trip down and were like sponges taking in all the day had on offer. On top of this, it was great to have Botswana photographer-guide, Lets Kamogelo showing these students some of the ins and outs of this industry and being someone they could look up to as a roll model early in their careers! The next day though Lets, the students and I came together. 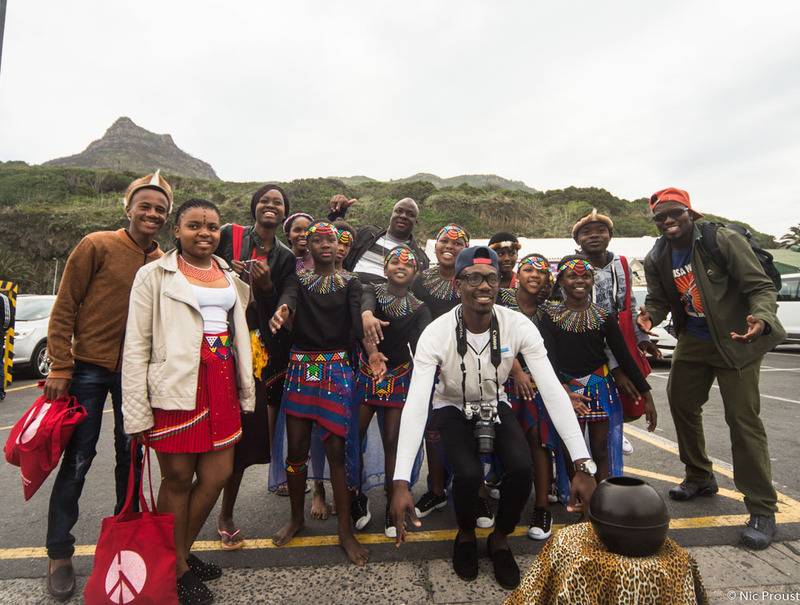 Wilderness Safaris had sponsored a tour and I had the privilege of hosting this amazing group as we made our first stop in Hout Bay, after leaving the city centre early on Sunday morning. 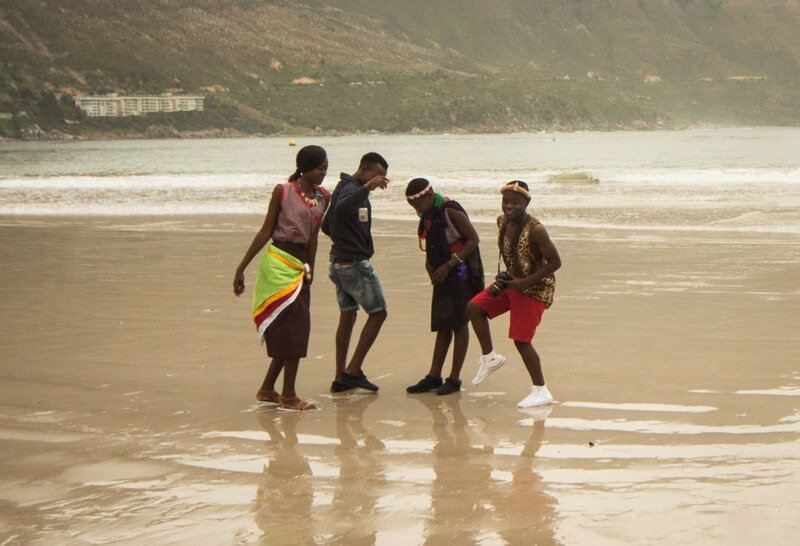 Being heritage day the group were dressed for the occasion and we had such an amazing time mingling with all the other people of the culture-rich Cape! 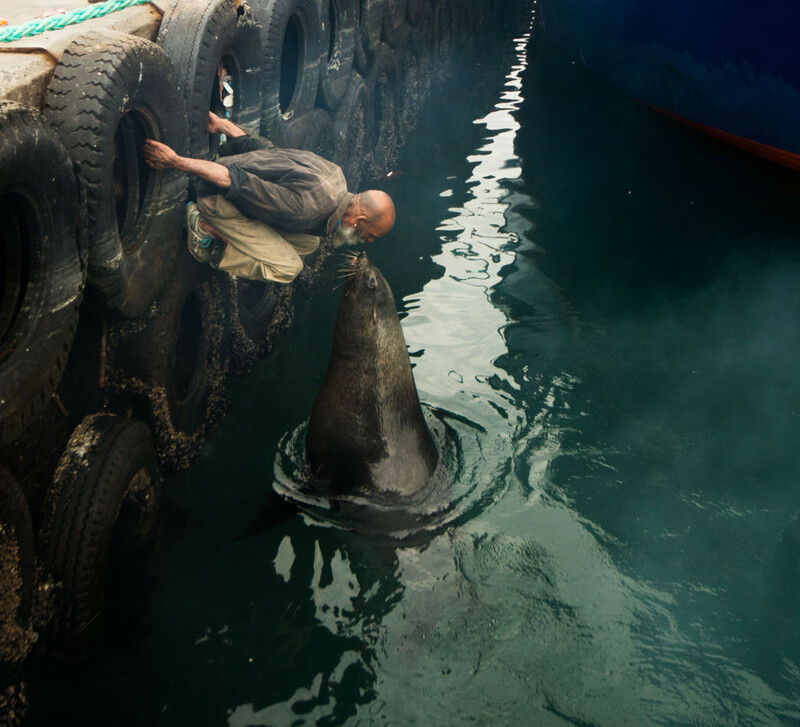 One of the locals put on a serious show…how amazing is the seal whisperer? What a little gem of the Cape! We then made our way around to Cape Point and the penguins after a perfect lunch stop at Saveur in Simonstown. We had many photographic opportunities but needless to say we kept on visiting different beaches – they were by far the biggest highlight! We ended off by collecting sea water so the team could take it back home…from what I gather from this is that it will bring luck and good vibes into your home, a tradition widely celebrated in South Africa and a great way to end off a feel-good day for photography and conservation in South Africa…what a magical Heritage Day it was!